NEW YORK, NY – It’s hard to wander around New York City without suffering a degree of neighborhood envy on a nearly daily basis. So many awesome areas – can you possibly pick a favorite? Against all odds, I think I have managed to do just that. 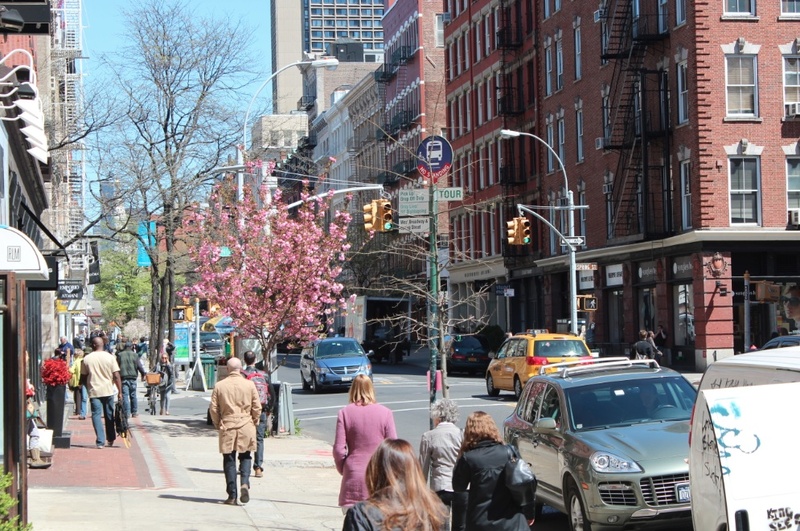 West Broadway is, in my opinion, the very best-est street in the Big Apple. I am particularly partial to the section beginning south at Grand Street and heading north to Houston (that’s “how-ston” for you non-New Yorkers) Street. Why? So many reasons…. 1. Because it’s got everything. Fancy a stroll through a gallery or – even better – picking up a new objet d’art? Great – you’ve got loads to choose from just on this one street. Need a bit of retail therapy? Boom – there are clothing shops, shoe stores, purveyors of fine jewelry and others all along the way. Hungry or thirsty? Dig in – there are all manner of restaurants and bars. Need a place to rest your head for the night? The Soho Grand and the Smyth are among the establishments right there to welcome you. 2. Because – amazingly for super-trendy – Soho, it’s fairly tourist-free. Not that we don’t love our visitors, of course, but sometimes it’s really nice to walk down a street that isn’t chock full of folks who are lost, taking photos or just plain mesmerized. 3. 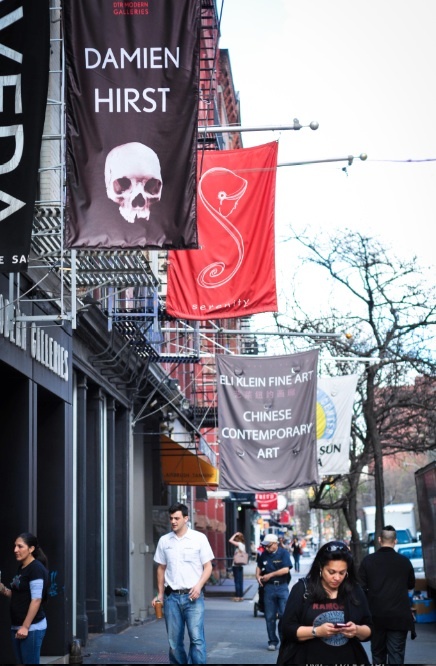 Because it’s eclectic, seeming to have absorbed the best bits of its surrounding areas – the funkiness and great shopping of Soho, the laid back-ness of Tribeca and the detached cool of the West Village. Soho Grand Hotel, 310 West Broadway: Wonderful boutique hotel with a fab bar. Pop International Gallery, 473 W. Broadway: An energetic space specializing in pop and urban art. Links of London, 402 W. Broadway: A great jewelry shop I used to frequent during my time in the eponymous city. Barolo, 398 W. Broadway: Very cute Italian place. Try the apple-filled ravioli in lamb ragu. Sounds weird, tastes heavenly. Elie Tahari, 417 W. Broadway: One of my favorite designers, conveniently situated for me to blow all my money. Broome Street Bar, 363 W. Broadway: Arguably some of the best burgers in NYC. What is the little thing that makes West Broadway Street worth a stroll? It’s got everything you need, delivered with loads of style. Where is it? West Broadway runs south to north, parallel to Broadway on the west side. It begins at Vesey Street (though it is more accessible one block north at Barclay Street) and ends at Houston (where it turns into LaGuardia Place).